I hate weakness. Especially (maybe exclusively) in myself. I can excuse weakness in others, but when it comes to my own I balk. I feel guilty. I repent. I ask God to forgive me for being weak. I've been known to feel guilty for being sick, for being shy, for being afraid to ride an amusement park ride. I can assure you, guilt and condemnation are not a cure for weakness. You don't repent for your weaknesses. You surrender them. 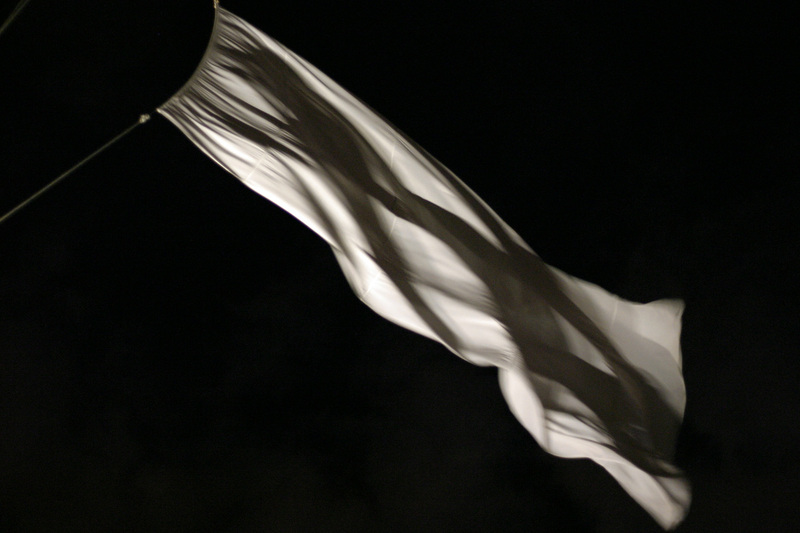 Weakness, however, requires surrender, and surrender involves relinquishing responsibility. Our tendency is to hide our weaknesses and make excuses for them. God asks us to do the opposite: release our weaknesses to Him. It seems contrary to common sense to expose our weaknesses to God, but the moment we let go of them God has access to that area of our lives and we become candidates for His grace. God's grace (His unlimited, unmerited power) can override our weakness with His strength. Paul figured it out (with God's help). "...'My grace is sufficient for you, for My power is made perfect in weakness.' Therefore I will boast all the more gladly about my weaknesses, so that Christ's power may rest on me. That is why, for Christ's sake, I delight in weaknesses, in insults, in hardships, in persecutions, in difficulties. For when I am weak, then I am strong." The Lord doesn't intend for us to wallow in weakness and make excuses for ourselves. Neither does He want us to live in guilt and fear and shame because we have weaknesses. Instead, He wants us to surrender those weaknesses to Him, and let His strength replace them. Too often, we let our weaknesses hinder us from running forward in faith and obedience. God wants us to drop those weaknesses at His throne and take up His daily load of grace. Our "I can't" becomes "I can." I'm working on it. Surrendering is hard. But I believe it will produce greater freedom in Christ. I'm curious. How do you deal with weakness? 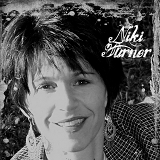 Niki Turner writes romantic fiction, Christian non-fiction, blog posts, articles in the local newspaper, grocery lists, and Facebook status updates. Her first completed manuscript won second place in the 2009 Touched By Love contest for contemporary category romance. Colorado natives, Niki and her husband of 20+ years have four children (three at home) and are soon-to-be grandparents. In 1998 they planted a church in rural northwestern Colorado. Currently, they share their home with three teenage boys, two black Lab mutts, and Niki’s absurdly spoiled Westie, Archie. powerful thoughts Niki. I'm going to print this one out. Oh, Niki. What a profound difference God's perspective can make in our lives. Thank you for this. I needed it today! My typical method of dealing with weakness is to avoid a situation that would call on those "muscles." But avoidance doesn't produce growth. This is so good and so true Niki. I've been struggling through a lot of this as well. I discovered this year that I have a problem called "parental inversion." It's similar to perfectionism, but subtely different. Basically, I didn't want to let others see my weaknesses because for some reason I felt like I always had to be the strong one and take care of everyone else. It kept me from reaching out for help when I needed it. This year I've been trying to learn how to rely on Christ's strength and not my own. It can be tricky, but I think I'm getting there. I slept in today, can you tell? And I'm not going to berate myself for it! Lisa, right on target with that... "avoidance doesn't produce growth." Excellent addition to this line of thought! Dina, you're going to have to tell me more about the parental inversion thing. I'm intrigued. Weakness was not accepted in my household growing up. Well, you can google it. Basically, it's when a child feels the need for whatever reason to take on parental responsibilities and protect their parents. My parents were both wonderful Godly people, but both came from dysfunctional homes and had me young. I'm the oldest. So here I was being raised in a spiritual home with a ton of confidence, and so I sometimes ended up taking on too much grown up responsibility too young. Hmm. I'm an only. Parents were textbook workaholics. I took on the responsibility for cooking, cleaning, laundry, and "making mom happy" by the age of 10. Twenty-five years later I realized "making mom happy" is an impossible task. Intriguing. I'll look it up. Oh, could I relate to this post. Feeling guilty for getting sick or feeling afraid? Yep. What am I teaching my kids? That moms/adults are in control of everything and can't show weakness? What a beautiful reminder to surrender my weakness to the Lord, and to lean on Him and those He's sent through the Body to help me. Thank you for sharing these words of encouragement. Sometimes it's the guilt that plagues us more than the actual weakness. Susie, you're so right. My daughter is 20 and will push herself to exhaustion before she'll ask for help or admit she can't do something, and I know just where she learned that foolish behavior! Let's resolve to show our children (even the adult ones) a better way! Christine, I concur. The guilt and condemnation are paralyzing. The weakness is just, well, weakness! I liked this post so much that I picked it for my Blog Post of the Week. Drop by tomorrow if you get a chance. And all you Inkies are invited. I miss your faces but am trying to keep up with ya. Jill! I am SO blessed! Miss you too, but we're all "watching" each other in cyberspace, aren't we? Niki, you're so right. Guilt and condemnation are not constucti ve when we're trying to work through our own weaknesses. I love what you said about surrendering our weaknesses to him. Sometimes, oh sometimes it is so hard. I'm so glad God whispered to your spirit on this subject. This was great, Niki. Niki, I read this post a couple times before owning up to the fact that yes, I ask forgiveness for my weaknesses and hadn't even realized it. Yes, this post has blessed me. Thanks, Niki. I'm a blogger as well and was searching online for something relating to weaknesses and this is definitely the most relevant. I am a Christian too and my natural reaction to my weaknesses is to hide them. The shame and disappointment that comes with not accomplishing a task I had vowed to accomplish(laziness is one of my greatest weaknesses) just makes me want to hide and disappear somewhere. But the words you've quoted from the Bible are exactly what I needed to hear... His strength is made perfect in our weakness. Putting that into practice asap...thank you so much for sharing this, God bless you! Thank you for stopping by and sharing your thoughts, @254chronicles !